Competitors who are interested to apply for the WCD Ballari Recruitment 2018 can find the complete details from this article. The higher authority of The Deputy Director, Women And Child Development Department, Bellary had issued the WCD Ballari Recruitment 2018 Notification regarding WCD Ballari 107 Openings for Anganwadi Worker and Helper Posts. We suggest all the eligible and interested candidates to apply for the WCD Ballari Job Opportunity. The higher authority had mentioned the selection procedure to recruit the skilled and apt candidates. Nominees can fill the Online Application Forms from 1st August 2018 to 30th August 2018. From upcoming parts, postulates can grab the details like eligibility criteria, application fee, pay scale, age limit and age relaxation details and the process to apply for the WCD Ballari Recruitment 2018 For 107 Anganwadi Worker and Helper Vacancies. For the convenience of the postulates, we had mentioned the post wise vacancies. 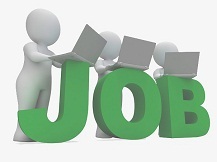 Therefore aspirants by checking this part can get an idea about total jobs available. Before applying for the WCD Ballari Recruitment 2018 For 107 Anganwadi Worker and Helper Vacancies, postulates should check the educational qualification. If the candidates did not satisfy the requirement, they are not supposed to apply for the recruitment process. From this part, candidates can get the complete idea regarding the educational qualifications required for the WCD Ballari Recruitment 2018 of Anganwadi Worker and Helper Posts. If the aspirants want to know about the reservation details they can visit the official notification and check out there. Petitioners those who completed SSLC can apply for the process. The higher authority of Office Of The Deputy Director, Women And Child Development Department, Bellary had stated the details of Age Limit And Age Relaxation in the notification. Only those candidates whose age limit is satisfied with the requirements should participate in the selection process. The Maximum age for the applicants is 35 years. Based on the categories of the contestants the higher officials of Office Of The Deputy Director, Women And Child Development Department, Bellary had decided the Application Fee. And by seeing the respective category students should make the payment of application fee. Without payment of the application amount, the officers will not allow the aspirants to participate in the selection process. From this segment, postulates can get the details regarding the application fee structure. If they want to know the application fee details, they can visit the official site of the organization. If the performance of the contestants in the selection is good, then they get recruited by the management members. Also based on the post they got selected they get the pay scale from the authority. If the aspirants perform well in the selection process, they get recruited by the officials of the Office Of The Deputy Director, Women And Child Development Department, Bellary. If petitioners want to know the pay scale information they can visit the official site. To opt the skilled and perfect candidates for the Anganwadi Worker and Helper Posts the higher management members had decided to conduct the selection procedure. Postulates whose performance is satisfied for the officers they get selected for the mentioned post. If the aspirants had the desire to get the job in Office Of The Deputy Director, Women And Child Development Department, Bellary for Anganwadi Worker and Helper Posts they should perform well in the selection process. Applicants should face the written exam and interview as the selection process. Candidates who are interested in applying for WCD Ballari Recruitment 2018 they must log on to the official website of the Office Of The Deputy Director, Women And Child Development Department, Bellary, i.e., www.anganwadirecruit.kar.nic.in. On the home page, postulates should check for the WCD Ballari Recruitment 2018 Notification for 107 Positions. Hit on that link and read the complete official recruitment notification carefully to get the idea about the eligibility. If the petitioners are eligible according to the rules, then hit on the WCD Ballari application form. Fill the application form for WCD Ballari Recruitment 2018 and attach the recent photograph and signature as per rules. Once recheck the filled WCD Ballari application form before submitting it. Pay the desired application amount as per category. Take the print out of the WCD Ballari Application Form for future use. All the info arranged in this post is from the official website. Therefore there is no doubt for the petitioners about the data is right or not. We suggest the contestants look at the table and grasp all the essential information. Moreover, competitors should visit our web portal Sarkari Recruitment on a regular basis. So that they can get all the latest information and upcoming notifications.